Newspaper Coverage: Our research uncovering how a Quantum Maxwell demon uses information to extract work from a system has been picked up by the international press, including articles in Czech, in Turkish, in French, in Spanish and in English. 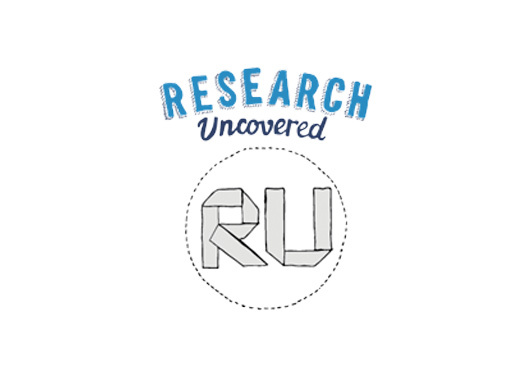 Research Uncovered is a series of open lectures which showcase our University’s world-class research on a wider platform. It is organised by the University of Exeter’s Students’ Guild. For the spring 2017 Research Uncovered series Dr Janet Anders was chosen by students to represent the College of Engineering, Mathematics and Physical Sciences (CEMPS), one of the 6 Colleges at the University of Exeter. 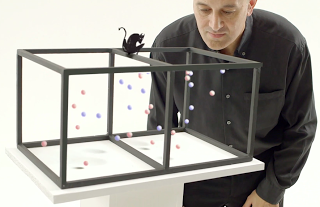 We have been involved in bringing a visually stunning quantum physics experiment right in front of the eyes of the public at science exhibitions. 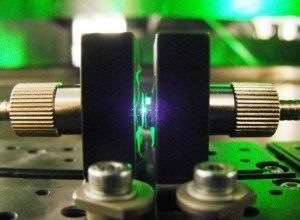 The picture shows a light-levitated nanosphere. More details can be found on the Quantum Workshop webpage. Our group has advised on and participated in a BBC Four Science TV programme “Order and Disorder”, presented by Professor Jim Al-Khalili. The picture shows Prof Al-Khalili with Maxwell’s demon. Details of the programme can be found here.